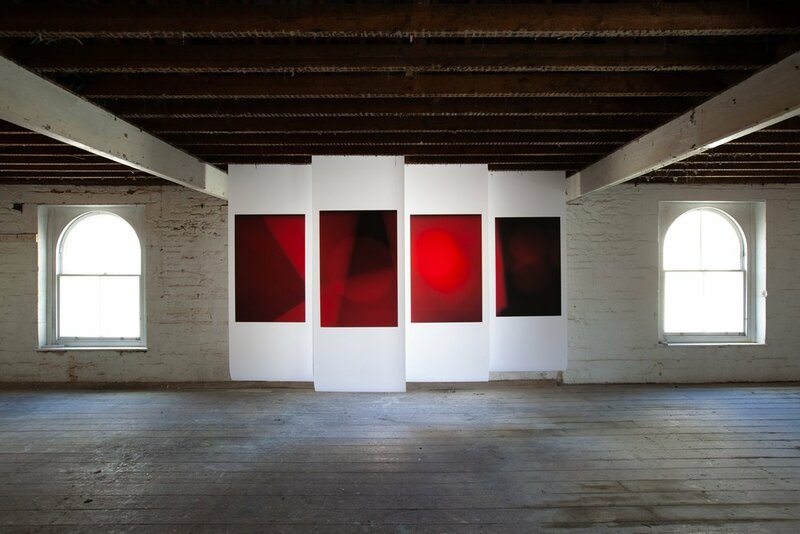 This work originated as part of The Silver Street Project, a site responsive installation in Bradford-on-Avon, and was also part of my Masters in Fine Art final exhibition. Accompanying the work was the film MI.PEK.2018.26. The unsettling soundtrack disturbs the experience of the multi-panel images as the viewer navigates the space and the vantage point from which to view them. The periodic silences provide moments of reflection for the viewer before the cycle begins anew, leaving the viewer to make sense of the relationship between the two works and the space. The placement of the panels in front of the window both revealed the illuminating source of the world outside and also provided an ever-changing quality of light to animate the work.